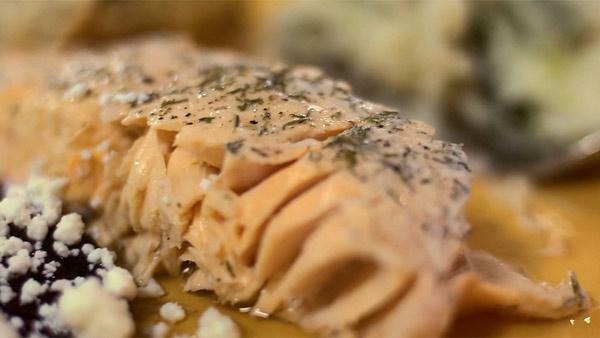 Brush the salmon with the olive oil, squeeze the lemon juice on and sprinkle with dill. Season with salt and pepper. Wrap the salmon in a foil packet and place on a baking sheet.